Portland Bill Swift 30, Sand Martin 25, Willow Warbler 15, Sedge Warbler 2, Grey Wagtail 1, Yellow Wagtail 1, Lesser Whitethroat 1. Portland Bill seawatch Manx Shearwater 20, Common Scoter 9, Balearic Shearwater 4etc, Mediterranean Gull 4, Yellow-legged Gull 2, Sandwich Tern 1. Portland Bill offshore Great Shearwater 1w. Moths PBO Diamond-back Moth 490, Silver Y 28, Rusty-dot Pearl 10, Marbled Piercer 7, Water Veneer 1, Spindle Knot-horn Nephopterix angustella, Four-spotted Footman 1, Gold Spot 1 + Four-spotted 6, Meadow Brown 1, Large White 1. The Obs Quarry is renowned as a great migrant trap as well as being a long-term breeding site for Little Owl, whilst the adjacent field that was once cultivated has in recent years reverted to a superb flower-rich meadow that's awash with butterflies and other insects throughout the summer months. 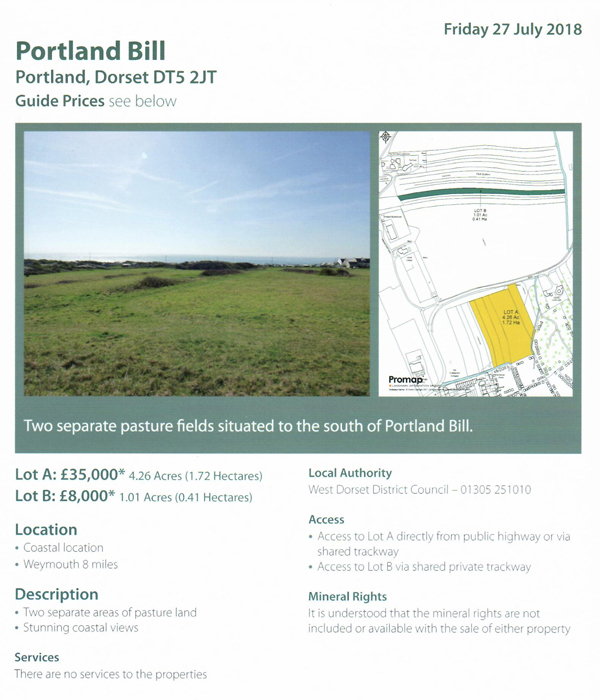 Although there is a public footpath running around the back of the Obs Quarry and another running diagonally across the Quarry Field all other access to this area is unofficial and highly likely to have been lost had these fields been acquired by other parties. 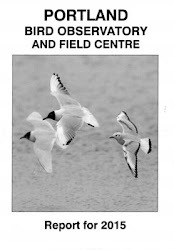 The Obs trustees felt it imperative that access to this important area should be maintained and its natural history interest preserved/improved and so prioritised its acquisition - today's positive result owes much to the generosity and foresight of our late benefactor, Miss Helen Brotherton, who we're sure would have been delighted at the outcome.